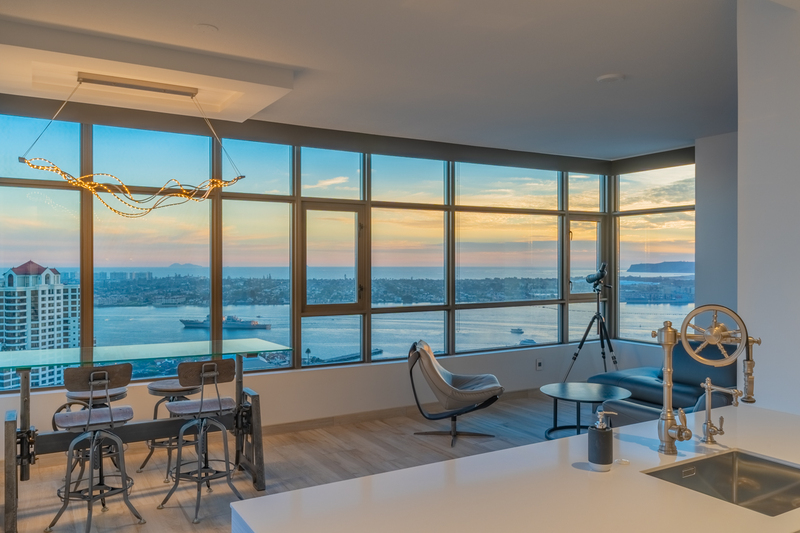 You will love the panoramic bay views from the living room AND both bedrooms in this 1,811 sf Bayside condo, not in the MLS, individuals and Brokers call me if any interest. Condo shoppers note this is about the only building I can walk a buyer into and not have them say it needs updating like so many other condo buildings in downtown. This is the second newest condo building in downtown San Diego. The average sold price of a condo in downtown San Diego in 20018 gained just 1% over year end 2017. This is just comparing sold condo data reported in the MLS. Note the brand new Pacific Gate building which is one of the most expensive building in downtown did not report any of their 175+- sold units in the MLS sort of making a higher appreciation rate than reported in my graph below which only includes resales. Note the new Pacific Gate building also caused a lot of condo owners in existing buildings to put their condos on the market for sale when they moved to Pacific Gate thus creating more supply and some downtown ward pressure on prices as the demand side did not spike or any particular reason. Just Scored an Off Market Condo for my Clients!! Every condo shopper looks on Realtor.com, Zillow.com and perhaps one of my websites to find their next home. Thats a great way to get a feel for whats out there and the prices. But if you know what you want and would like the opportunity to buy it before all the other lookers out there please let me know. I know how to find owners of the condo your looking for and often can engage them to let you take a look at it to see if you want to make an offer. Having lived and worked in the downtown San Diego Gaslamp neighborhood for over 18 years I know a lot of agents that have pocket listings where the Seller is just not ready to go live online yet. 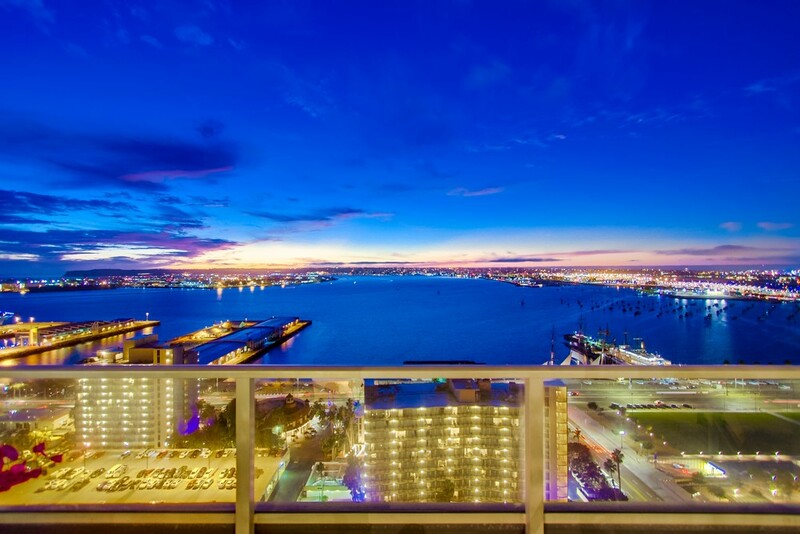 Please do us both a favor and let me know what your looking for in a downtown San Diego condo, the more specific the better and I'll put my experience and connections to work to try and get you an opportunity no one else know about. In 2018, at least seven of my clients purchased properties that were not in the MLS/Zillow. This week my clients just bought the condo in the pics below and are so happy, this is a one of a kind condo and surely would have received multiple offers if it ever made it online. Just Updated my price trend chart through 3rd Quarter 2018, the market is getting to be more balanced now between buyers and sellers. Note this chart only has a couple of sold units in it from the brand new Pacific Gate building since none of the new sales are flowing through the MLS data. If I were to include those sales, this chart would have some very big spikes upwards. San Diego Condo Prices Jump OFF THE CHARTS. Pacific Gate Sales are making a big impact on the "average" prices of downtown San Diego Condos. I have just ran the data for the 2nd Qtr of 2018. 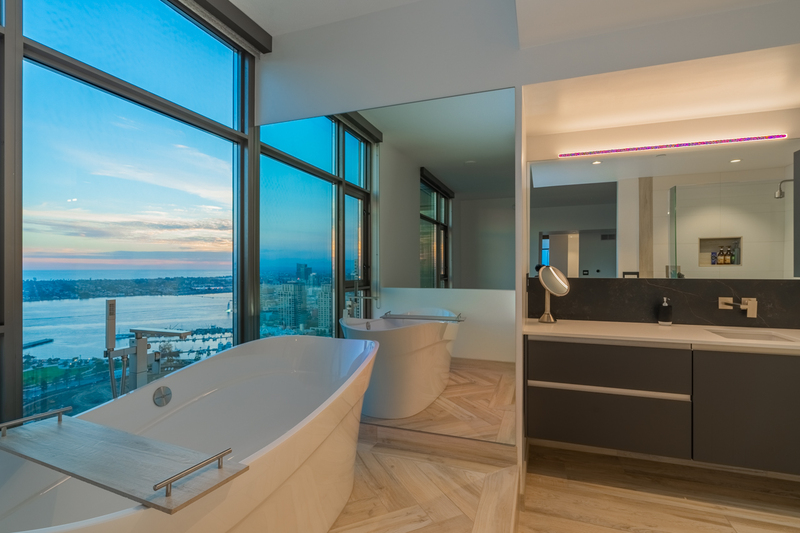 Looking for a condo with a great view, take a look at Park One #9, this condo has 270 degree wrap around views from the Mountains to the East, Balboa Park to the South, Downtown skyline and bay to the Southwest and views to La Jolla to the North. Manchester Pacific Gateway - Blocking Bay Views?? How many of you out there think the Manchester Pacific Gateway project is going to block all the Western water views for the condos looking West today? San Diego Condo Price Trends Past and Future? A direct comparison of the Grande condo complex in downtown San Diego to its new neighbor, the Bayside condos next door. 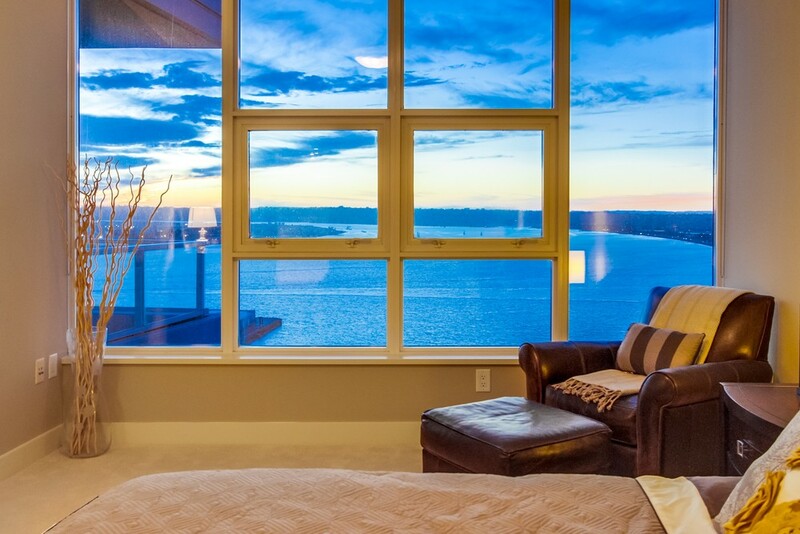 Read on to see which building has the best condo for you. Are The Pacific Gate Condos Already a Bargain? 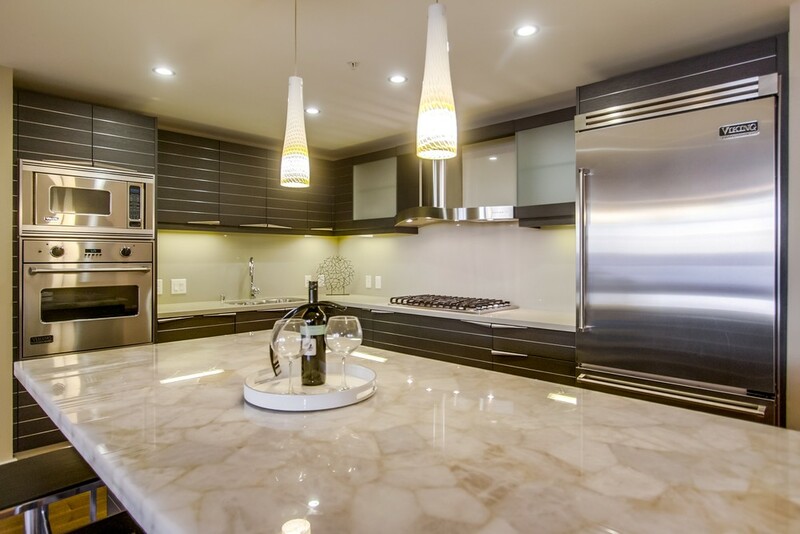 Ever since the brand new super prime Pacific Gate condos began selling pre-construction there was a lot of talk among buyers and Realtors not familiar with the developer (Bosa) or the architect (KPF) that the residences were just too expensive.